+ DO YOU OFFER DISCOUNTS FOR LARGE BRIDAL PARTIES, MILITARY, WEEKDAY WEDDINGS? We book our time, our artists, and our supplies based on the information you book within your contract agreement. We do require a wedding day service minimum of $450 for all senior artists & $750 for Stephanie Nelson on events Friday through Sunday. Services can be added up until 30 days prior to the wedding day, only if time allows. While services can be potentially added, you can not remove or reduce services once secured. + WHAT IF I DON'T KNOW THE TOTAL NUMBER OF SERVICES NEEDED FOR THE WEDDING DAY? We book weddings up to 18 months in advance with a signed contract agreement & a 50% nonrefundable retainer of your total services booked. The final balance will then be due 30 days prior to the wedding day. Please note that your date is not secure until your contract agreement & retainer have been received. 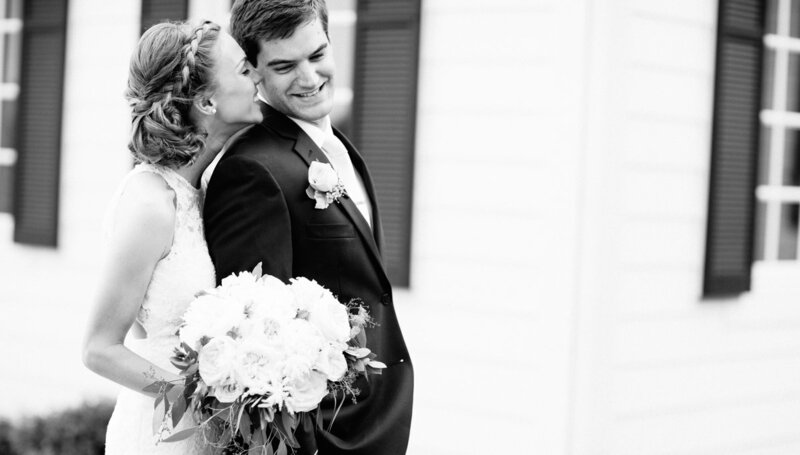 + HOW DO I BOOK MY WEDDING WITH STEPHANIE NELSON MAKEUP & HAIR? + I'M ONLY PAYING FOR MYSELF & MOTHER, CAN MY BRIDESMAIDS PAY YOU SEPARATELY? Our brides are the ones under contract with us, and so all payment comes from the contracted individual. We recommend you collect your bridal parties monies prior to your final balance being due so you can then submit the payment as one form. + IS A TRIAL INCLUDED? Trials are not included in the pricing of the wedding day services, but are bundled within our pre-set packages. A trial is never offered free of charge and are not required - but always highly encouraged. + WHEN SHOULD I SCHEDULE MY TRIAL FOR? Trials can of course be scheduled prior to booking your wedding date, or can be booked once your date is secured. We do recommend waiting until a few months to a few weeks before your wedding day. This is so you have a fairly clear idea of your wedding day style & we can perfectly pair the details together and create the best look for you. We recommend using the appointment on the same day as an engagement session, bridal portrait, or shower. + what is a trial appointment & what should i expect? A trial appointment is scheduled at our studio on average for 1-2 hours for one service, or 2-3 hours for two services. The artist will discuss with you what your overall wedding day style is from your dress to your flowers to create a perfectly tailored look is just for you. During the trial time, we will show you a few variations of the makeup / hair looks we have discussed so you know what your options are. + HOW SHOULD I PREPARE FOR THE TRIAL? Research! Go on Instagram, Pinterest, Facebook, or The Knot - anything wedding related to find out what styles you like! Make sure you wear white as various colors can alter the appearance of finished makeup. Please also arrive with a clean face - that means no left over mascara or eyeliner - and clean, dry hair. + HOW SHOULD I PREPARE FOR THE BIG DAY? To get you fully ready for the wedding, we offer complimentary skin care consultations for all of our brides. Schedule a time to come in and meet with Stephanie to discuss what is working from your current plan and what we recommend you add to get the perfect glowing face for the big day! + how long will you be available at my wedding? On average, we allot 45 minutes for each service plus 45 minutes for bride's hair prep if the artist deems necessary. The final 30-45 minutes will also be scheduled for final touches to provide touch ups & lip application. This time is generally when your photographer will arrive to get detail pictures, but we do suggest you plan to start any pictures only after this time. Once services are completed, the team will leave. If you are interested in scheduling additional time for the artist(s) to stay on site for touch ups and/or style changes please contact us for a specialized quote. + HOW SHOULD MY BRIDESMAIDS & I ARRIVE ON THE WEDDING DAY? We ask that everyone arrives completely makeup free - this does include not having any left over mascara or eyeliner - as well as clean & dry hair. Arriving any other way can delay services on the wedding day! In relation to the timeline (which will be discussed well before the big day) we do not recommend scheduling specific people at each service block. Our timelines are very fluid so while some will take a full 45 minutes, others may take 20 - 30 minutes and we will need to begin on the next client immediately after. + PLEASE VISIT OUR CONTACT PAGE TO receive details of our pricing & packages. + TO view more information on snmh policies, please click here.